For today’s rehearsal, we’ll be looking at a Chick Corea track called ‘The Sorceress’. Should be an interesting one to run through. There are quite a few different riffs, changes in feel and tempo, odd bars and more. The majority of the song consists of solo and improvisational sections, so we will all have to watch each other closely and build the dynamics together. 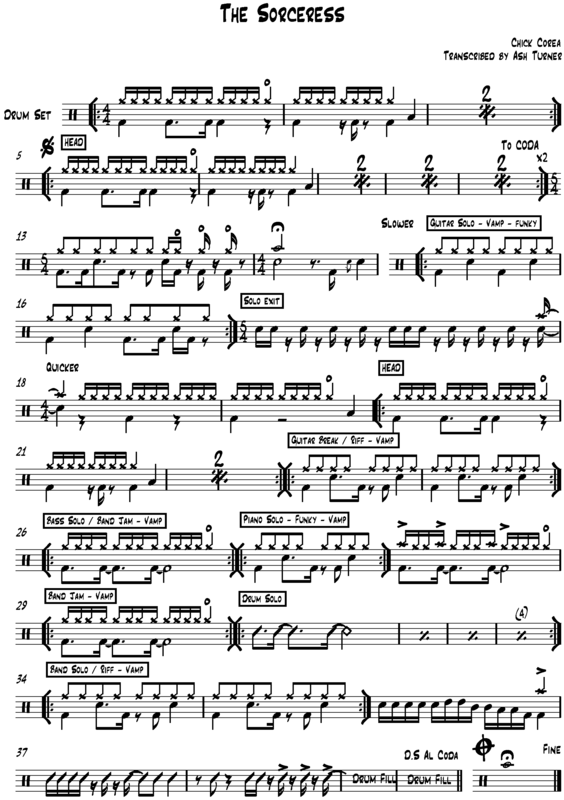 Below is a drum transcription and the actual track we have been looking at.